Awww, cuuuuuuuuuuute. They look like little bags of dog chow. And the babies are sweet, too. Here is a good pic of the Cal State-Fullerton baseball team, who all wear Stirrups. Full gallery here. 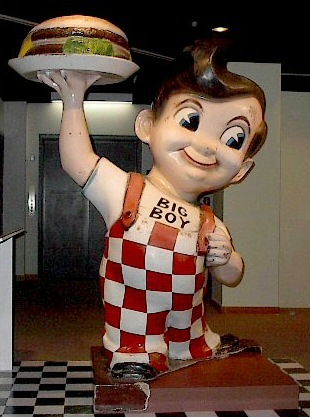 So is Big Boy Croatian now? Who knew?! 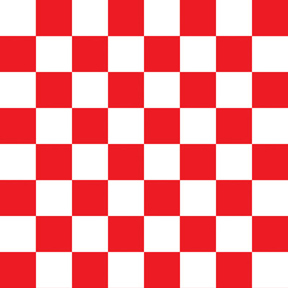 Croatians??? Are you sure those aren’t Czechs? I have to say, you’ve disappointed me a little. I expected at least SOME commentary on how the ignorant little ones pay no attention to the way their uniforms lay (some hang straight down, some curl up) … two of them are crying … totally different skin tone kid to kid. I mean, what kind of unity does this team have? Taking back my skin tone part of the comment … has Jackie Robinson Day taught me NOTHING???? Maybe if they (in MLB baseball, not newborn futbol) all wear 42 for every game, the concept of equality would be more in the forefront of my mind. I apologize to all I’ve offended. This is what our babies would be wearing this year at home, and this on the road. Your comment does make me wonder … how is it chosen whether Olympic teams wear light or dark colors a specfic game? And, when hosting an Olympics, shouldn’t a country’s teams always be allowed to be the “home” team? I can’t even keep up with all the college baseball players in the Super Regionals that seem to have one stirrup on right and one on backward. they get points for the attempt, but, man. yeah, those are Croatian babies because the Czechs were the Puma template. the funny part is that the team’s coach is in the band. I don’t think you’d get a coach with a part time job here unless he was giving speeches. From the Uni Cameo Dept. : Eddie Murray. In my mind, he’s an Oriole, and him in any other uniform just looks wrong. Anybody have a picture of Charles Nagy in a Padres uniform? Just read yesterday’s Riversharks entry – fabulous! It looks like the Czech coach has actually had his jacket and shirt outfitted by PUMA. That’s going a little far with outfitting I think. Hmmmm….not so sure about those NC State hats (playing GA on ESPN 2). [quote comment=”274501″]yeah, those are Croatian babies because the Czechs were the Puma template. Nah … I’m gonna stick with my original belief. Pretty sure those are czechs. [quote comment=”274507″][quote comment=”274501″]yeah, those are Croatian babies because the Czechs were the Puma template. [quote comment=”274508″][quote comment=”274507″][quote comment=”274501″]yeah, those are Croatian babies because the Czechs were the Puma template. A Russian scientist and a Czechoslovakian scientist had spent their whole lives studying the majestic grizzly bear. Each year they petitioned their respective governments to allow them to go to Yellowstone to study these wondrous beasts. Finally, their request was granted and they immediately flew to New York and then west to Yellowstone. They reported to the local ranger station and were told that it was the grizzly mating season and it was much too dangerous to go out and study the animals. They pleaded that this was their only chance. Finally the ranger relented. The Russian and the Czech were given cell phones and told to report in each day. For several days they called in, and then nothing was heard from the two scientists. The rangers mounted a search party and found the scientists’ camp completely ravaged. There was no sign of the missing men. They then followed the trail of a male and a female bear. They found the female and decided they must kill the animal to find out if she had eaten the scientists, because they feared an international incident. They killed the female and cut open the bear’s stomach and, sure enough, found the remains of the Russian. Apparently Big Brown will NOT be wearing a Hooters logo today- deal got nixed by whoever it is that runs the race/sport. Really? I think those hats are beautiful. I think NC State looks sharp as a whole. Very nice unis. maybe they go by world ranking?? First reaction was the white panels made it look like a meshback from 70s. But, yeah, overall look is a good one…now that I’ve been watching it for a while. It’s the same thing they do in hockey. One team is home and one team is road. If you were home in your first game, you’d be road for your second game, and so on. For example, Canada was the road team for several of the games in the 2008 IIHF Hockey Championship. When they get to the playoff round, the team with the higher standing is normally the home team. But if the higher-ranked team was the home team during a match between the same teams in round-robin play, the lower-ranked team would be the home team in the interest of fairness. Today’s edition of the “Frank and Ernest” comic made me chuckle. Not necessarily. 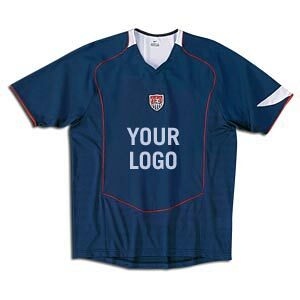 The status of “home team” is pre-assigned before the tournament starts, and the teams are instructed by the tournament technical staff which uniforms to wear for the match. It makes less difference in soccer, than in hockey (where the home team gets last line change). In Chicago for a couple days. Any UniWatcher suggestions for a sports bar/restaurant with a great memorabilia display? My son and I are especially interested in football helmets, but would take any suggestions. Thanks. [quote comment=”274516″]Today’s edition of the “Frank and Ernest” comic made me chuckle. Jeffy asked why the quarterback had a green dot on his helmet in last Tuesday’s “Family Circus”. [quote comment=”274520″][quote comment=”274516″]Today’s edition of the “Frank and Ernest” comic made me chuckle. Hey, that means they have the same team colors as the “St. Louis” team Ray Milland pitched for (and devioulsy, I might add) in IT HAPPENS EVERY SPRING ! (And everyone knows the green dot means they bought the helmet at a garage sale. Sheesh). Wow. How quickly Ron Polk has fallen. Just pointed out on the Nationals broadcast – the Nats are wearing their red alternates with the DC logo on jersey and hat, but relief pitcher Luis Ayala is wearing the regular hat with the “curly W” logo. Awfully quiet here on the weekends, why is that? Anyway, here is a review of the 11 coolest helmets in pro football history. Make of it what you will. Not sure if this was covered at all since the beginning of the NCAA Baseball tournament, but I’ll share anyway. I just watched the conclusion of the Arizona St./Fresno St. super-regional game…and it looks like the Sun Devils have a small Pat Tillman (PT-42) patch above the pitchfork on their right sleeve. Head coach Pat Murphy is currently listed as wearing #42 on their roster. Just found it interesting that the apparent cross-sport nod continues to this day at ASU. Apologies if this has been mentioned. Never been there, but I’d bet Michael Jordan’s place has some fair sports memorabilia. Come to think of it, Michael would bet on that, too. DAMN IT, AZUL ARMY! You just made it sofa king really quiter.